Easy tagging "as you type"
Go to Issue Edit mode, and start typing the keyword that you want to add. Existing available tags will appear as you type. If you did not find what you were looking for, just hit enter and add it. It is that simple! 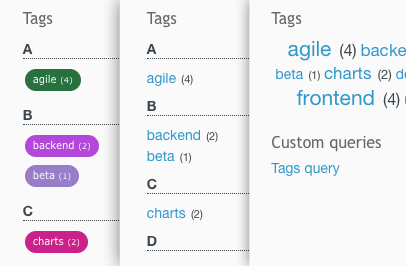 Tags are available from the right column menu. 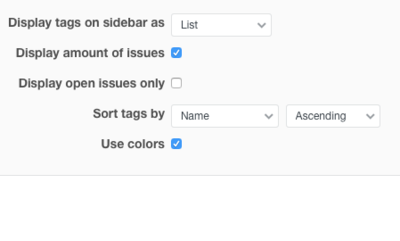 You can see only tags for open, or both for open and closed issues. At the same time, they help to categorize and contextualize issues in a less formal and faster way than assigning to versions. Nice, useful and free plugin - highly recommended! Some small bugs but author is very reactive.